The same is true for when it comes to your brand. This applies to any form of content you put out—from your photography and video content to your all of your graphics. Your visual assets are the metaphorical “links” of your branding “chain”. If one piece is weak, that’s what stays top of mind and distracts from other professionally produced content you might have. Larger brands will consistently use professionally produced assets to maintain a visual continuity and a consistent branding narrative. High-quality assets are crucial to maintaining a positive, professional appearance. Conversely, can we say the opposite is true? The answer is yes, without question. 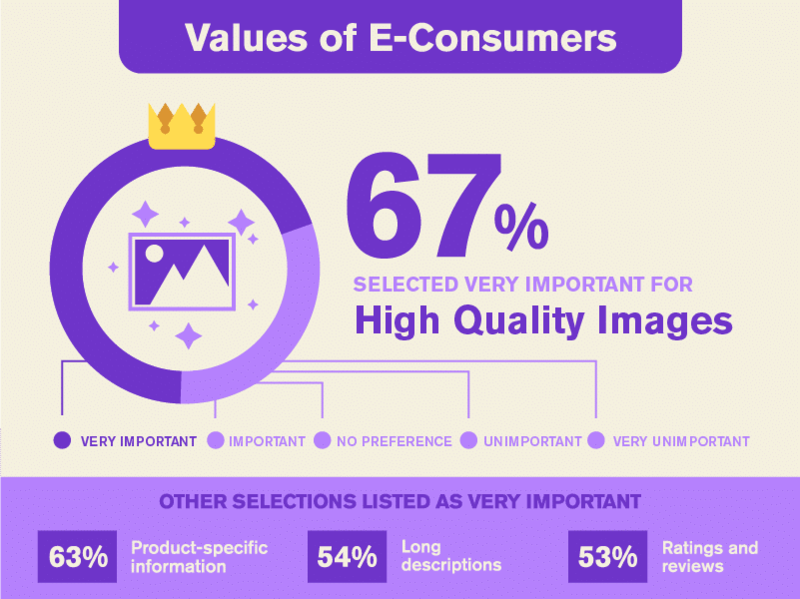 Nearly 70% of e-consumers say that high-quality images are very important in selecting and purchasing a product. What’s more, high-quality images actually rank higher than all other criteria. Arguably, a product description may tell you more about the product more objectively, but as the old saying goes—a picture is worth a thousand words. That’s the power of high-quality assets in action. Consumers and clients want to feel confident they are investing in a polished product. Simply put, quality assets show that the company pays attention to the details, which shows that they care about the products or services that they produce. It also conveys that they care about providing you with a quality experience while interacting with their brand. Quality assets are one of the most effective ways to establish brand credibility with consistent quality. That’s the reason why Nike “just does it”. In other words, it lets the customers and clients understand that they’re in good hands. Although information such as product descriptions, reviews, and product-specific information may represent the specific value of a product better, they still lose out to having a high-quality image. Quality images provide a “realness” to the product, to an extent where words cannot reproduce. Now that’s some serious value! Keep in mind that this also this also applies to your website. When visiting your websites, users typically spend about 6 seconds looking at the main image or video banner. Ensuring that it is professionally produced, which is crucial to establishing your first impression as a credible business. In fact, according to Adobe, about 38% of people will stop engaging with a website if the content/layout is unattractive. With that in mind, you absolutely want to avoid having weak assets, especially when it comes to new business. A website with low-quality assets sets off a fire alarm to potential customers. An unfamiliar customer may think, “Could it be that this company simply has low-quality products?”, or “Does this company not care enough about their image or presentation? What does that say about how they’ll treat me?”. Although these statements may not truly reflect the business, the first impression has been made. And we all know how first impressions are hard to change. That’s why it’s pivotal to make sure you’re not giving customers the wrong impression. Another thing to be highly wary of is stock images and graphics. While they can be acceptable in some select circumstances, ideally, you want to stay away from them as much as possible. Despite the fact that the image quality on stock websites is usually pretty high, the problem lies in that it’s an asset accessible to anyone, anywhere. Surely, you’ve landed on the contact page of a website with a picture of a female receptionist, somewhere in her mid-to-late twenties, smiling while answering a call on a headset or phone? Chances are, you could picture exactly what we just described. That’s the biggest issue with stock photgraphy—this type of imagery can be anywhere on the internet, and isn’t personalized to your brand at all. Simply put, stock photos are generic, and don’t speak in your brand’s language. They can come across as impersonal, and this is something that customers and clients will pick up on. Naturally, there’s great value in having original assets produced specifically for you. Custom-made quality assets ensure that your assets are uniquely branded to you, and tell your story. As we’ve mentioned in our post about motion graphics, the use of unique, quality assets extends far beyond the initial scope of use. For example, if you have graphics or photos produced specifically for a page of your website—this isn’t the end of its potential usage. You can apply those same graphics and photos to any related print collateral, social media posts, email blasts, blog articles, and so on. The possibilities extend only as far as you can imagine. The result of professionally produced quality assets is that you come out with an image that’s flexible in use and completely branded to you and your company. Images are also great when it comes to SEO value. Surprised? Search engines actually like to see images, because they can index them, and your images can appear in image search results. Heard of Google images? If someone is interested in the picture and clicks on it, it will send them directly to your page, so your brand is front-and-center to them. A little extra advertising never hurt! This is also another reason for the importance of avoiding stock imagery when possible. People will glance over stock imagery in search results—whereas original assets have a better chance at creating intrigue and potentially netting you a visit to your website. 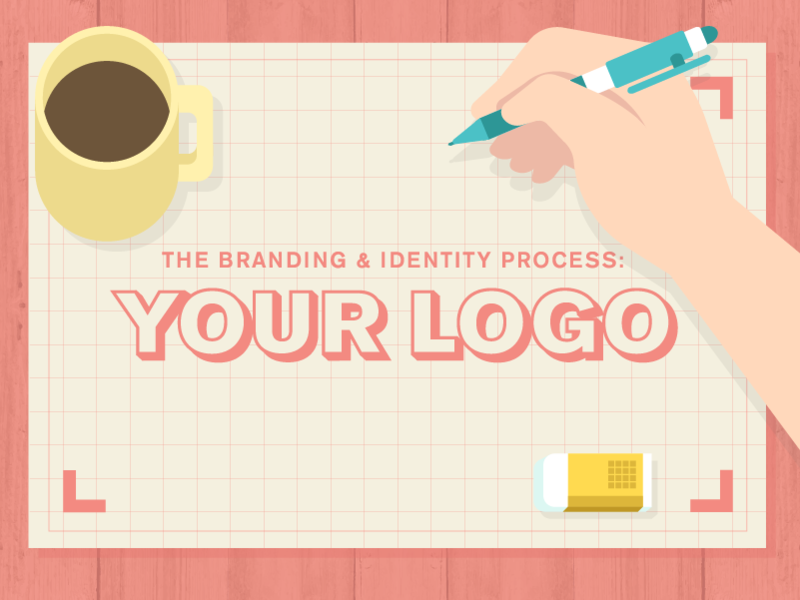 High-quality assets are crucial to developing your brand in your own voice. Don’t let poor-quality or stock-quality assets dilute your message and give your customers and clients the wrong impression. Here at Mighty Fine Design Co., professionally produced assets are well within our wheelhouse. If you’re in need of any assistance—let us know how we can assist you. We know you’ve got substance, and we’ve got style. Let’s work together.